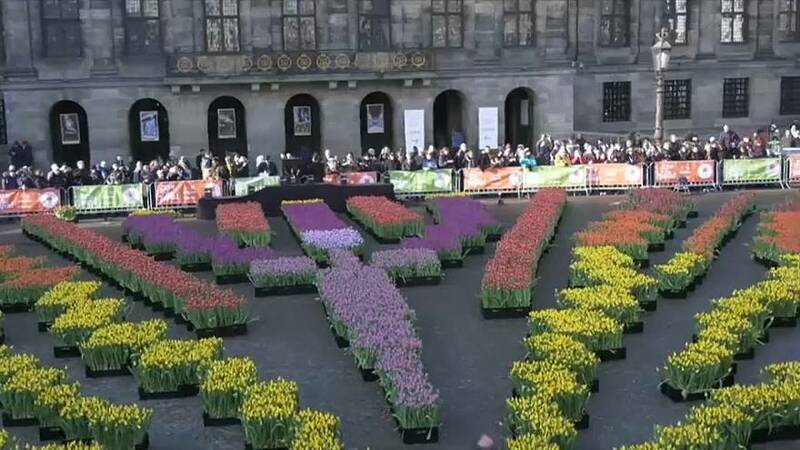 Amsterdam celebrated National Tulip Day on Saturday with a riot of colour. A unique tulip garden covering 2,500 square metres was specially created for the event, with 200-thousand on display. Visitors were invited to pick the blooms for free. Professional tulip growers were in attendance to help visitors make up their bouquets and give them tips on growing the flowers. The Netherlands is the world's biggest tulip producer exporting the flower to a hundred countries. But the tulip actually originates from Turkey and Central Asia and was brought to the country in the sixteenth century.